The journey has been long, tiring and intense, but here you are. You began with problem definition, then you moved onto app development and it’s now you are ready to send your app to the App Store. But just one final thing before you press send – mobile app marketing. You’ve managed to successfully compile a set of superior features into one holistic app that you’re confident your users will love. Unfortunately, users don’t just discover mobile apps. Even when 63% of Apple users claim that they’ve “discovered” new apps through general browsing in the mobile store, the truth is far from that. Users continue to stumble upon apps that have been specifically optimized for them to actually “discover”. By now, competition within the App Store is so intense that you cannot afford to be invisible. It’s not a secret that the mobile app market is booming. That’s why you’ve created an app in the first place. We’ve seen an app like Instagram take 8 weeks to develop, then subsequently being sold for $1 billion in cash, just a year and a half after launch in the App Store. And that’s just a tip of the iceberg. There are possibly thousands of success stories that can be attributed to the App Store. It’s a goldmine, to say the least. As a result, the App Store is currently hosting more than 2.2 million apps, with many more in the pipeline. Very good – but only for Apple, since they make a cut out of every dollar each app makes, the company has all the reasons to be happy about a booming App Store. You, on the other hand, stand to lose more with each new App Store addition. More apples translates to lesser chances of users discovering your well-developed app. And since apple receives over 1,000 submissions a day, your chances of success are getting thinner by the hour. That leaves you with only one option- forcing it down your consumer’s throats. Not literally, but through mobile app marketing. Now, of course, we all wish marketing was as simple as native advertising. A commercial on TV would have possibly sufficed. Unfortunately, today’s consumerism, especially when it comes to the internet is getting complicated. Market research that has been progressively conducted through the years continues to reveal the state of internet-based consumers, including app users. If you look at overall shopping, for instance, a whopping 92.77% of the clicks are organic, compared to 7.23% inorganic. Consequently, even when you repeatedly create awareness of your app through native advertising, the biggest impact is made by users who are developed organically. And that’s the fundamental principle of mobile app marketing. But, where do you even begin with marketing your mobile app? We may have made some good points here about the current market- but is marketing even that critical, especially when your app is exceptionally good? Wouldn’t organic word-of-mouth be good enough? Why Do You Have To Market Your Mobile App? To understand just how much you need mobile app marketing, take a look at Apple’s list of the most downloaded apps in 2016. Well, of course, you might argue that it’s no surprise that Snapchat, Messenger, Facebook, Youtube and the likes made the list since they were big even before 2016. We don’t deny that the internet community, at the moment, is largely concentrated on these platforms. Take a good look at the list again. There’s something outstanding about all the apps – Pokemon Go. Even more surprising about this phenomenon is the fact that the app wasn’t released until the second half of the year. Yet it managed to beat both Facebook, Instagram, and further smashed app download records in the App Store. It’s success as the biggest US mobile game in history is attributed to an ingenious marketing strategy, incorporating in-app promotional tactics plus social media viral marketing. 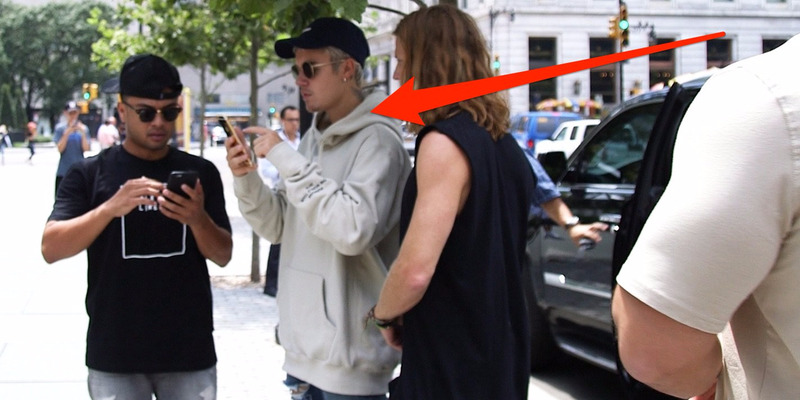 Two particular memorable moments are when Justin Bieber went Poke-hunting in Central Park, and Hillary Clinton invoking the app in her campaign trail. As a result, the app made over $600 million in revenue in just 90 days, from an initial investment of $25 million. Essentially, mobile app marketing is what will eventually generate impressive ROI from your app. Having triggered more than half a billion downloads from 3000 apps, we can tell you for sure that we are not talking about just any marketing. It needs to be creative, strategic, and most importantly well-optimized for your target market. To help you in this, we’ve compiled a list of the top tools you need for every stage of marketing. And to make it even sweeter, we’ve thrown in a tool that is as comprehensive as they come- all the marketing you possibly need, on one platform. Prelaunch app marketing is all about creating buzz and prepping the market for the release of your app. PreApps provides just that by spearheading an effective pre-release strategy, distributing your app press release through its wide network of media sites with a solid readership, and preparing requisite marketing media like app demo videos. In addition to app performance tracking, SensorTower is a powerhouse in competition analysis, revenue reports, and regular keywords research. Marketers commonly use it for App Store Optimization intelligence, ad intelligence, marketplace intelligence and general app analysis. That makes it useful not only in ASO, but also search engine optimization, decision making, market research, and keyword ranking tracking. MobileDevHQ is another equally popular tool that will help you choose just the right keywords for the best possible ranking on both the App Store and Google. To help you make informed decisions on your app’s discoverability, this tool tracks all the search queries relevant to your app, and subsequently provides critical reports. And since positioning yourself against your competition is arguably one of the most important aspects of marketing, MobileDevHQ also integrates your competitors’ rankings in its overall reports. Two of App Annie’s most critical features are its keyword tracker and explorer, which assess potentials according to difficulty and volume. In addition to competitive keyword monitoring, this tool helps in estimating your potential app ROI, and consequently validating possible investment opportunities. And since mobile marketing is critical in this whole process, App Annie also provides analytics support for mobile marketing. AppFollow describes itself as a service for mobile marketers, product advertisers, and growth hackers. It powers App Store Optimization primarily through keyword tracking and competitive tracking. Marketers also commonly use it to ease overall customer support, analyze app performance, and compile relevant data on app sales, updates, ranks, keywords and customer reviews. This is supported through integrations with HelpScout, Helpshift, Intercom, and Zendesk, plus chat services like Telegram, Hipchat and Slack. Since 2009, Unbounce has facilitated digital agencies and marketers boost marketing campaign and website conversions. Its extensive marketing and landing platform simplify the whole process of developing, launching, and testing high-conversion sticky bars, popups, and landing pages, without any technical coding knowledge or experience. This tool boasts of exceptional customer support, unlimited hosting, and full server uptime- all of which have supposedly pushed more than quarter a billion conversions for marketing executives all over the globe. Just as its name suggests, Appsites will help you create a website for your app, through its wide range of desktop, tablet and mobile-ready templates. In addition to standard web development features like custom domain names, this tool comes with integrated analytics and plug-ins for tracking traffic directed to the App Store from any third party site. It will grant you an unlimited number of landing pages to automatically trigger your leads to download the app without being directed to the App Store. The leads are acquired through its advanced SEO features which target both web and mobile-based users. AppLandr simplifies the whole process of creating a site for your mobile app by facilitating click, drag and drop onto a canvas. You can further customize the site specifically for your mobile app through its settings panel, which allows you to add social network links, plus personalized backgrounds and colors. Just like its primary competitors, this tool provides unlimited landing pages, and a wide range of templates optimized for desktop, tablet, and mobile. You don’t even have to host the site on its servers since it also supports exporting of pages to third-party servers. After creating the website, you’ll definitely need traffic analytics and search engine optimization, which thankfully, are also supported by AppLandr. Appbot is built to conduct comprehensive App Store assessments and subsequently provide accurate results in minutes. Its analysis algorithms comb through sentiments and feedback from real users to help you make informed decisions about the overall mobile app marketing strategy. The best this about this is that it’s fully automated. You don’t have to lift even a finger to get real-time data on star rating, review volume and user sentiments about your app. Apart from data collection and analysis, Appbot also helps you respond accordingly to issues raised. It’s integrated with a host of other platforms to automatically add reviews and bug reports onto existing developer workflows. While developers review the bugs, you can respond to user reviews through Appbot, and subsequently boost overall conversion rates. AppFigures collects a wide range of critical metrics that are cumulatively relevant to your app’s performance- ad performance, featured reports, hourly ranks, usage tracking, review analytics, and sales data. This is an automated process that generates reports in a matter of minutes, after connecting to the app’s developer accounts. You don’t even have to review or change anything about your app to facilitate critical analysis. The tool does the heavy lifting and avails the resultant reports through a wide range of integrated platforms, including Slack, Trello, and email. This allows developers to respond instantly and rectify any existing problems. Through MopApp, you can optimize market exposure and overall discoverability of your app by repeatedly evaluating critical real-time analytics of relevant performance data. This is made possible by a comprehensive dashboard supporting customized reporting. The resultant comparison charts, reviews lists, and automated reports will help you review your apps development and marketing strategies, to boost profitability, ratings, and downloads. For developers, MopApp offers mobile app performance indicators, while agencies primarily benefit from mobile channel engagement analytics. Brands, on the other hand, are provided with social intelligence on their brands, and enterprises get to assess relevant intelligence to maximize overall market penetration. Evidently, mobile app marketing is a very complicated process involving multiple tools and structured analytics. These are already too many for a busy developer to keep up with, yet we’ve barely mentioned the primary ones. There are many other sub-tools and corresponding tactics required for a solid, holistic marketing strategy. That’s if you intend to stand a chance against your competitors. Now, fortunately, you have one tool that encompasses everything we’ve mentioned- PreApps. Since your time is more valuable developing and supporting your app, we will spearhead marketing through tested and proven tactics. Our app marketing services stretch from app press all the way to App Store Optimization. Even when 63% of Apple users claim that they’ve “discovered” new apps through general browsing in the mobile store, the truth is far from that. App Store is currently hosting more than 2.2 million apps, with much more in the pipeline. Since Apple receives over 1,000 submissions a day, your chances of success are getting thinner by the hour. Even when you repeatedly create awareness of your app through native advertising, the biggest impact is made by users who are developed organically. PreApps provides an effective pre-release strategy, distributes your app press release through its wide network of media sites with a solid readership, and prepares requisite marketing media like app demo videos. In addition to app performance tracking, SensorTower is a powerhouse in competition analysis, revenue reports, and regular keywords research. Two of App Annie’s most critical features are its keyword tracker and explorer, which assess potentials according to difficulty and volume. AppFollow describes itself as a service for mobile marketers, product advertisers, and growth hackers. Unbounce has facilitated digital agencies and marketers boost marketing campaign and website conversions. AppLandr simplifies the whole process of creating a site for your mobile app by facilitating click, drag and drop onto a canvas. Appbot is built to conduct comprehensive App Store assessments and subsequently provide accurate results in minutes. AppFigures collects a wide range of critical metrics that are cumulatively relevant to your app’s performance. Through MopApp, you can optimize market exposure and overall discoverability of your app by repeatedly evaluating critical real-time analytics of relevant performance data. Which other notable mobile app marketing tools do you think should have made the list?